« Day 51 in Beijing: Carry On Wayward Son! 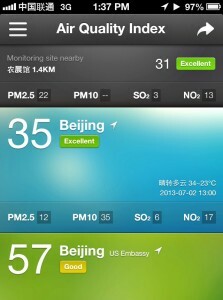 The air quality index on 6-29-2013. A good day to stay inside and only use air conditioning. 4 days later. 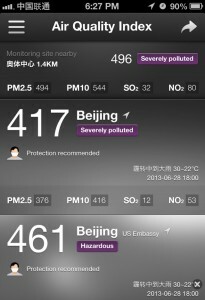 It had rained the night before and that cleared the pollution from the Beijing skies. 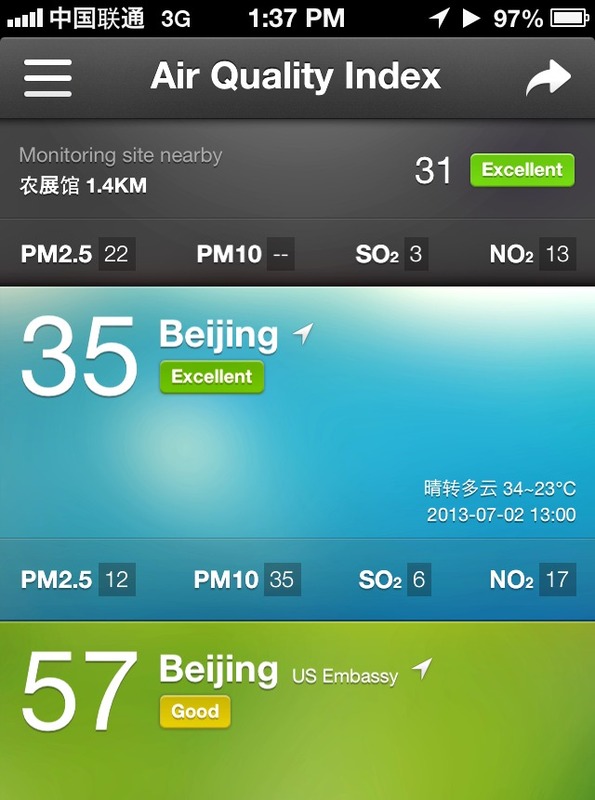 The air in Beijing has received a lot of bad press. When it is nice, it seems no one covers this in the press. It has been about 50-50 nice versus unhealthy. The winter is supposed to be much worse because of the coal burning. Not only do the major factories and coal plants burn all winter long, but the locals actually use coal bricks to heat their own houses. I can’t imagine how badly that effects the health of the locals here but it can’t be good.